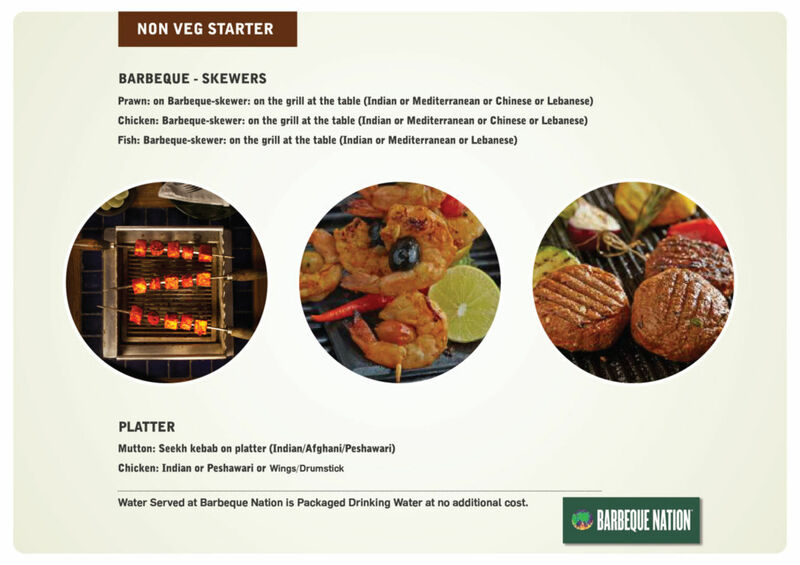 Barbeque nation stands as one of the major barbeque restaurants across the country. 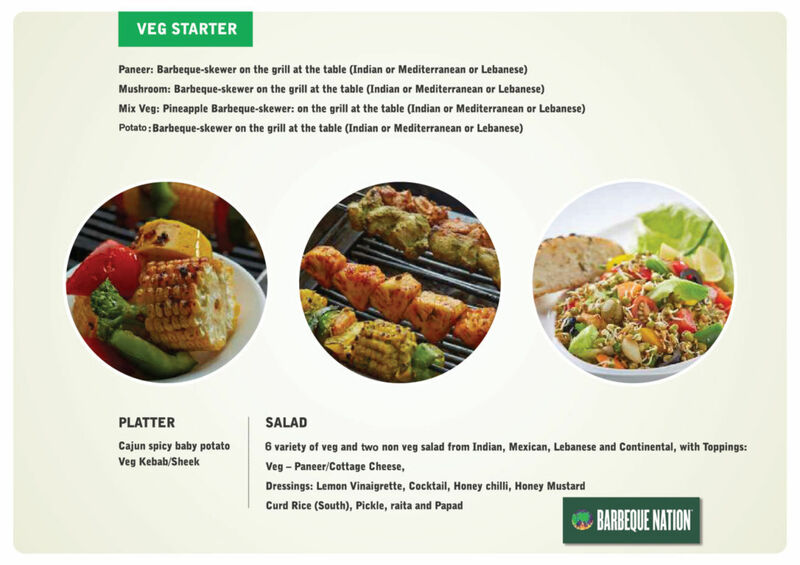 They have pioneered the use of barbeque or grill on the table. 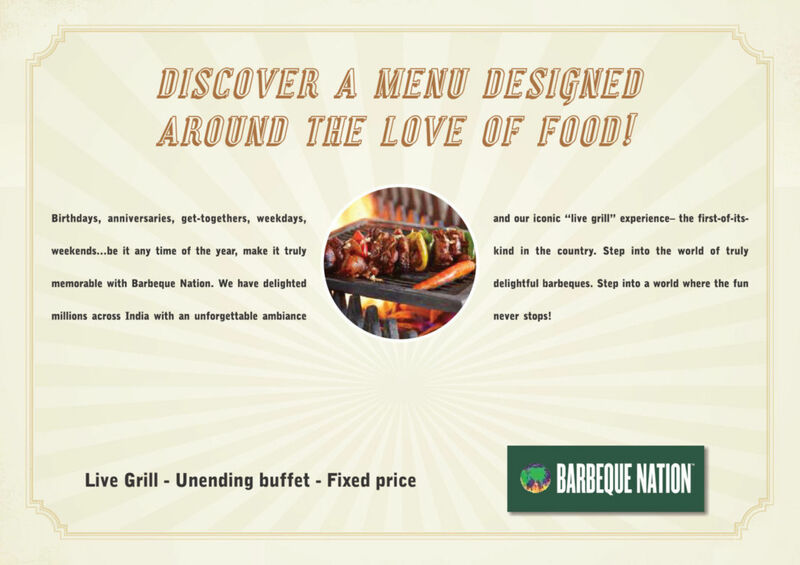 With ample live counters for exotic meat, kulfi and special one’s set-up for festivals, a meal at Barbeque Nation is usually an affair of pomp and gaiety. 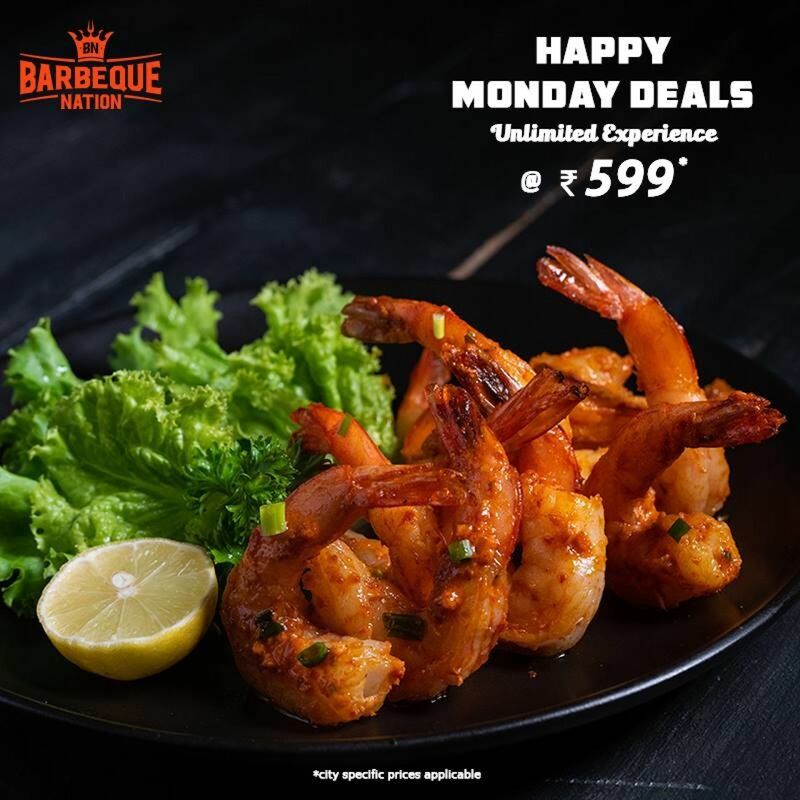 With barbecue and non-barbeque options like 'Mushroom', 'Paneer', 'Patty', ‘Assorted Exotic Grill Veg’, ‘Cajun Potato’, ‘Pinapple’, ‘Crispy Corn’, ‘Potatoes’, ‘Mutton Sheek Kebab’, ‘Tangdi Kebab’, ‘Chicken Drum Stick’, ‘Deep Marinated Fish’ and more, you can take a hard pass on the main course. 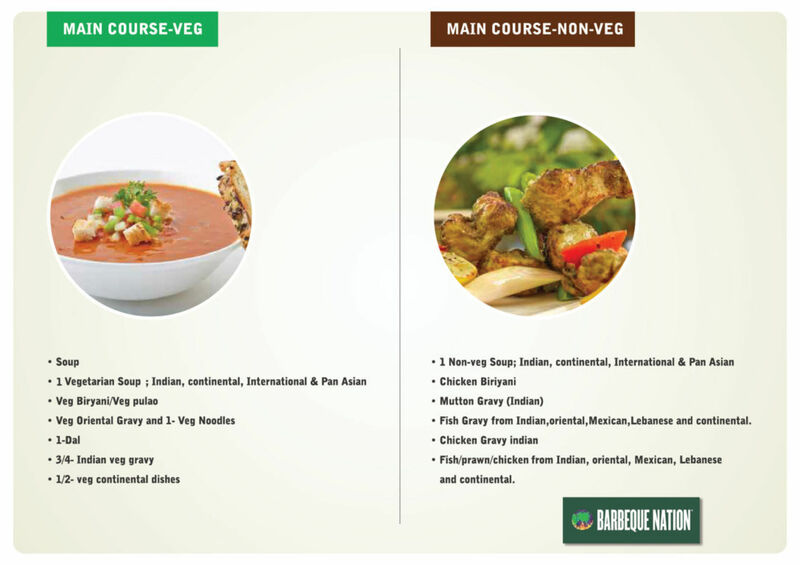 From the main course, try the ‘Dal Makhani’, ‘Crabs’, 'Seafood with Rice and you are sorted. 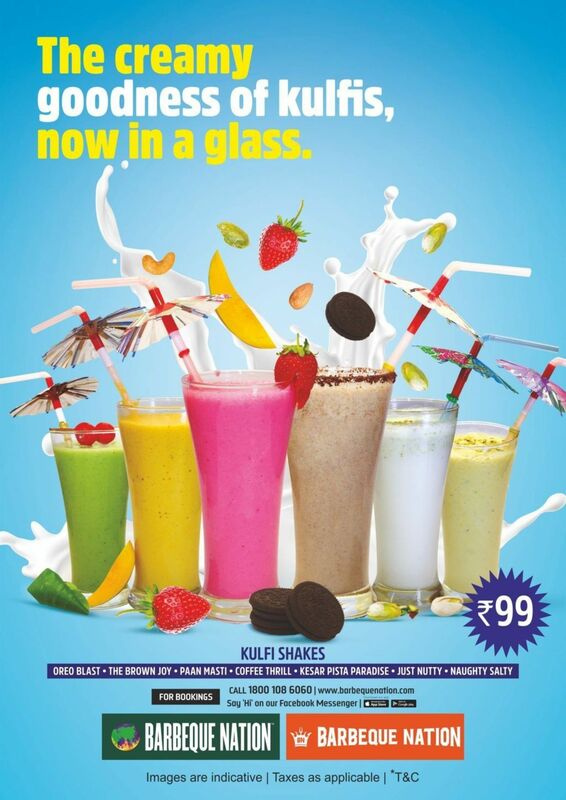 If Chinese is more of your thing, find solace in ‘Noodles’, ‘Manchurian’, etc. 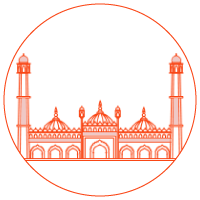 Do not forget to fill your tummy with ‘Biryani’ before you head to the dessert bar.